Hydrate. Lift. Glow. Nourish. Reduce wrinkles. Reverse the signs of aging naturally. Amazing changes without toxic injections, peels or invasive surgeries. 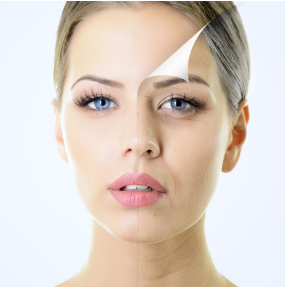 Cosmetic Acu-Facelift Series are safe treatments that will identify any pathological problems of premature aging and address any skin concerns. You have never experienced an anti-aging treatment like this before. We focus on each individual’s needs and aim to normalize and return the skin to a more youthful state. It will leave you looking and feeling younger. 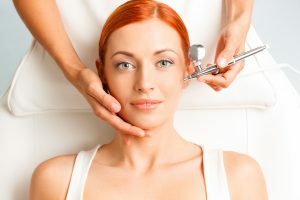 Our Aesthetic Acu-Facelift Series treatments include a personalized combination of aesthetic acupuncture, oxygen facial, LED light therapy, microcurrent therapy, and facial cupping. It’s like having FIVE treatments in ONE! 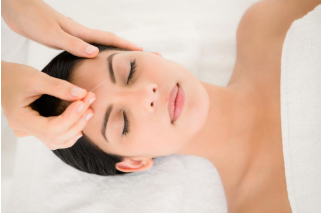 Aesthetic Acupuncture is an alternative to Botox, Facial Fillers, and invasive surgical procedures. Fillers tend to cover the issue and do not address the aging skin. Unlike Botox, that does nothing for the sagging of the skin, acupuncture addresses the skin by relaxing tight muscles and strengthening the muscles that are weak. Acupuncture needles create microscopic needle “wounds” in the skin. The body then responds to this, creating collagen bridges between each pinpoint, rejuvenating the skin. We use oxygen facial to nourish the skin and promote collagen growth. Highly concentrated oxygen molecule are sprayed in the outer layer of the skin. This technique is used for smoother and plumper skin. We use an award winning medical device that addresses a variety of skin conditions including wrinkles. It uses light energy to improve cellular health by accelerating and repair and replenishment of compromised tissue cells. 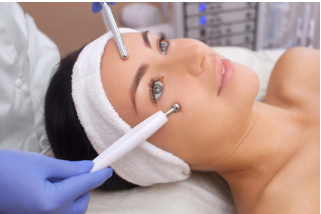 Microcurrent has been popular amongst the celebrities and is known as a “lunchtime face-lift”. 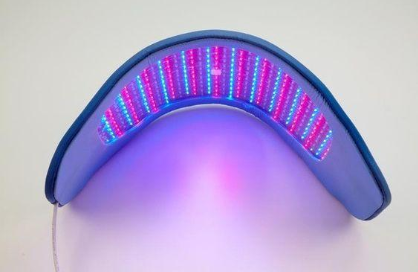 It is a low level of electricity that mirrors the body’s own natural electrical currents, triggering chemical reactions at a cellular level to enhance the production of collagen and elastin, provide circulatory benefit, and re-educate the muscles of the face. 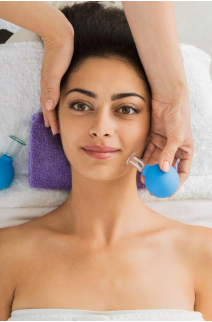 Facial cupping is used to reduce wrinkles, lift and rejuvenate the skin. This treatment uses gentle suction cups to drain lymph, which in turn helps reduce puffiness. The blood flow improves and brings nutrients to the skin. By improving the blood flow, the skin will regain its youthful appearance.